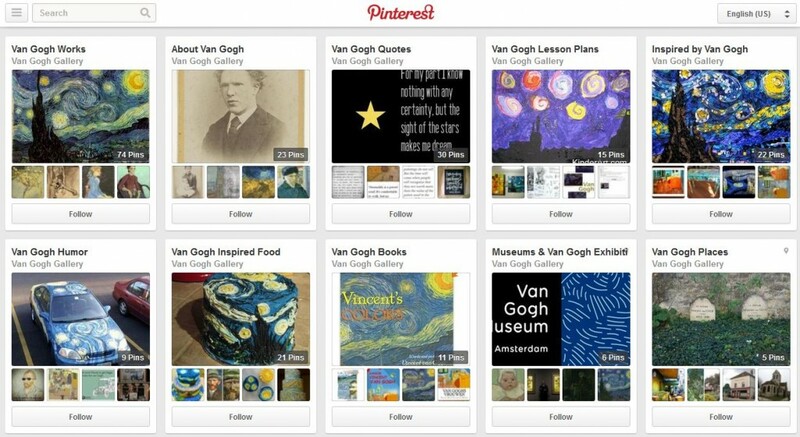 Follow Van Gogh Gallery on Pinterest! HomeVan Gogh DrawingsFollow Van Gogh Gallery on Pinterest! Do you use Pinterest? If so, that’s great news because Van Gogh Gallery has recently joined the social pin-board site too. We’ve set up several great boards that we think you might like to follow including Van Gogh Works, Van Gogh Quotes, Inspired by Van Gogh and lots more including fun Van Gogh Fashions and Van Gogh Products boards. If you love Vincent van Gogh then we’ll be pinning a lot of great images that you won’t want to miss. We’d love for you to follow our boards. If you are not already a member of the Pinterest community, joining is easy. Click here for 3 easy to follow steps to sign up for an account.